Initial Audio is offering a 25% discount on its Heat Up 3 rompler instrument plugin. There are many choices out there today for music producers when it comes to audio plugins. We are sure you already have many plugins that you love so why buy Heat Up 3? The simple answer is quality, value and a massive range of sounds that every producer needs, all in one simple to use plugin.The main advantage of Heat Up 3 is that it uses high quality multi samples recorded from many different sources, we have real recorded instruments such as pianos and brasses as well samples from a multitude of analog and digital hardware. Heat Up 3 captures the unique sound of lots of different types of instruments, all rolled into one easy to use plugin. Heat Up 3 for Windows and Mac (VST/AU) is on sale for $149 USD for a limited time (regular $199 USD). 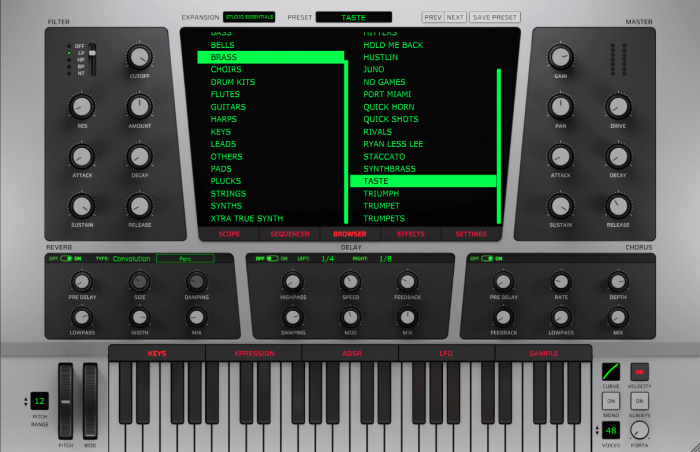 Previous Previous post: UVI’s Korg PS-3200 inspired virtual synthesizer is on sale for $49 USD!